If you’re looking for a healthy and versatile fruit to use in your smoothies, pineapple definitely fits the bill. It creates delicious tropical tasting smoothies that will make you feel like you’re on a dream vacation every time you drink them. There are plenty of health benefits associated with pineapple too. It’s a good source of vitamin C and fiber, and is full of antioxidants. Pineapple also contains an enzyme called bromelain, which has powerful anti-inflammatory benefits. Studies have suggested that this may even help to reduce the symptoms of arthritis. It’s also a weight loss friendly smoothie ingredient that has no fat and is low in calories. Perfect if you’re trying to keep your weight under control! I bet you’re excited to start getting some of these benefits, right? 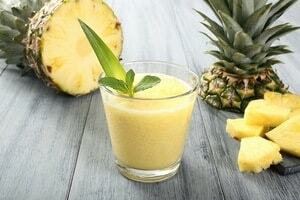 Read on for some delicious and healthy pineapple smoothie recipes. Is pineapple acidic or alkaline? Are pineapples good for weight loss? Are pineapples high in potassium? Are pineapples high in oxalates? Are pineapples high in vitamin K? Are pineapples safe to eat during pregnancy? 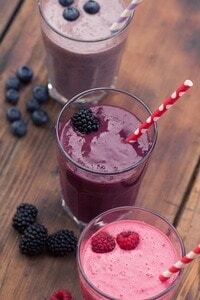 This is a great energizing smoothie to kickstart your day or for when you’re in need of a boost. It is slightly tangy but falls just the right side of this. Almond milk works well in this smoothie as it can bring out the flavors of the fruits a little bit more but don’t worry if you don’t have it. Peel and chop the banana. Cut the pineapple into chunks if you’re not using frozen chunks. There aren’t too many ingredients in this smoothie so it’s a simple one to make. 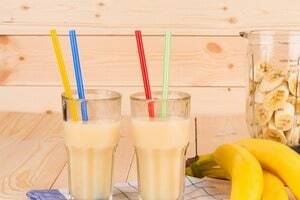 We’re using almond milk in this smoothie to really bring out the pineapple and banana combination. It is filling thanks to the protein from the yogurt and almond milk adds extra nutrients. 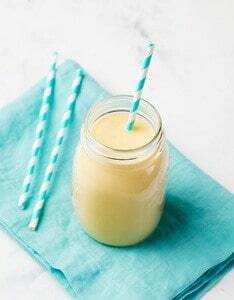 This is an immunity boosting smoothie, with plenty of vitamin C from the pineapple and orange juice. 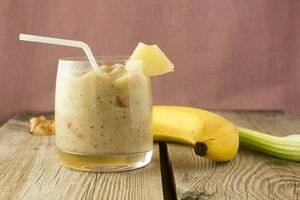 It’s a really refreshing smoothie too and has a tropical twist. If you want to make it even more nutritious, you can choose to add a handful of leafy greens such as spinach as well. You shouldn’t need any vanilla or sweeteners with this one as the fruits make it naturally sweet. You hardly need any ingredients for this smoothie so it’s really easy to make. The tropical vibe will make you think of summer every time you drink it! Recommended: My Favorite Orange Smoothie Recipes. What if you don’t want to use yogurt in your pineapple smoothies? Because yogurt usually makes a smoothie thicker too, you’ll probably want to add some ice to thicken things up. Frozen fruit is another alternative to yogurt too. 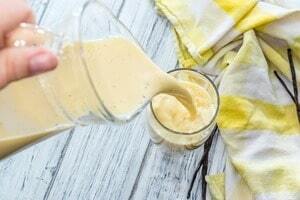 This yogurt free pineapple smoothie uses frozen pineapple and almond milk so it’s super simple to make. Add both of the ingredients to your blender and combine until smooth. If you love tropical tasting smoothies, this one is sure to be a hit with you. It’s got a definite vacation vibe. Mango and pinneaple is one of those gorgeous, tropical combinations that will make you feel like chilling at a beach in Koh Tao, Thailand on every sip of this beautiful smoothie. Plus, it’s very filling as the fruit provides fiber and yogurt gives a protein boost. Having this smoothie for breakfast will keep you full all morning. Peel and chop the banana. Chop the pineapple and mango if you’re not using frozen chunks. There’s plenty of fiber in this smoothie thanks to the fruit and if you want to make it a filling breakfast smoothie, you can add some protein in the form of yogurt too as there isn’t any in the basic recipe. It’s a refreshing way to start the day off or as a mid afternoon snack. Using frozen strawberries will thicken the smoothie if you don’t use yogurt. Hull the strawberries and chop them into pieces. Chop the pineapple if you’re not using frozen chunks. Add everything to the blender and combine until smooth. If you want to satisfy cravings for sweet foods through a healthy smoothie, this one is for you. Peel and chop the banana. Chop the pineapple if you’re not using frozen chunks. Pineapple is the main ingredient here and it combines with the coconut milk for a deliciously tropical smoothie. There are only a few ingredients involved in this smoothie so it’s a great choice for those mornings when you need to whip up something healthy but don’t have much time. Use unsweetened coconut milk where possible to keep the sugar intake down. Chop up the pineapple if you’re not using frozen fruits. If you’re looking for a weight loss friendly smoothie, look no further! Packed full of fruits and fiber, it will fill you up and keep you sated. Hull and chop the strawberries. Chop the pineapple if you’re not using frozen chunks. Add all of the ingredients to the blender and combine until smooth. 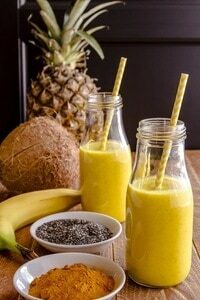 If these recipes have got you excited about using pineapples in your smoothies, you’re probably keen to know more about their nutritional benefits. Here are some key facts about pineapples and answers to some of the common questions about this fruit. Pineapple has a pH value of between 3.2 and 4 and is classed as very acidic. Pineapple juice tends to fall around 3.5 on the pH scale, which means that some varieties of pineapple are slightly less acidic than their juice counterparts. Because of its pH value, pineapple can cause discomfort after eating if you have acid reflux. Although pineapple is highly acidic, it’s not actually the most acidic fruit. Both lemons and limes are more acidic and generally fall below 3 on the pH scale. People often think of pineapple as a citrus fruit but it’s part of the Bromeliaceae family. It does contain citric acid, as do plenty of citrus fruits. This isn’t a bad thing as it can help to protect against the formation of kidney stones. Pineapple contains an enzyme called bromelain, which has anti inflammatory properties. There is often a link between inflammation and being overweight, which is one reason why eating anti inflammatory pineapple regularly can help to keep your weight under control. The recommended daily amount of potassium is 4,700 mg. Including pineapple in your smoothies will help to reach this amount but you’ll also need to add other foods that contain a reasonable amount of potassium such as banana and apricot. According to the University of Michigan, pineapple contain some oxalates but aren’t particularly high in them. Some fruits are considered to be high in oxalates and can have more than 10 mg of oxalates in a serving but pineapple generally contain less than 10 mg of oxalates per serving. Oxalates are linked to the formation of kidney stones and it’s recommended that you don’t consume more than 50 mg of them per day if you want to protect yourself against kidney stones. For every 100g of pineapple, you’ll get 0.7 µg of vitamin K. This isn’t particularly high, especially compared to blueberries, which have over 19 µg of vitamin K per 100g. Dark leafy greens are a good source of vitamin K. Adding pineapple to green smoothies can help you to get more vitamin K into your diet. If you can include blueberries too, you’ll get even more vitamin K from your smoothies. You may have heard that pineapple should be avoided while you’re pregnant because it may bring on uterine contractions and early labor but fortunately, this is a big myth (unless you eat an awful lot of it!). It is bromelain supplements that can potentially cause problems but these contain a lot more bromelain than you’ll find in the average serving of pineapple. 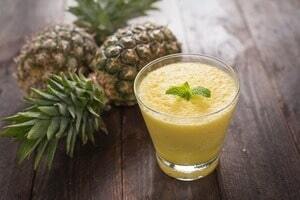 You probably won’t want to be eating pineapple every single day of your pregnancy but enjoying a pineapple smoothie once or twice a week isn’t believed to be dangerous and there isn’t any scientific evidence to say that you should stay clear of it. The American College of Obstetrics and Gynecology recommend eating vitamin C rich foods during pregnancy. Pineapples are a good source of vitamin C and contain almost 79 mg per cup. You can boost your vitamin C intake by including oranges (or orange juice), mango, papaya, grapefruit, strawberries, blueberries and raspberries in your pineapple smoothies. 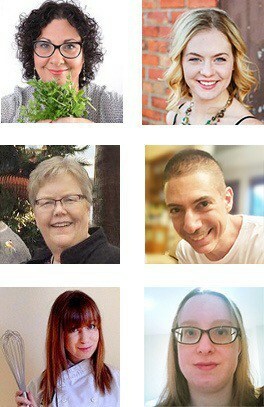 Which Recipes Did You Enjoy Most? 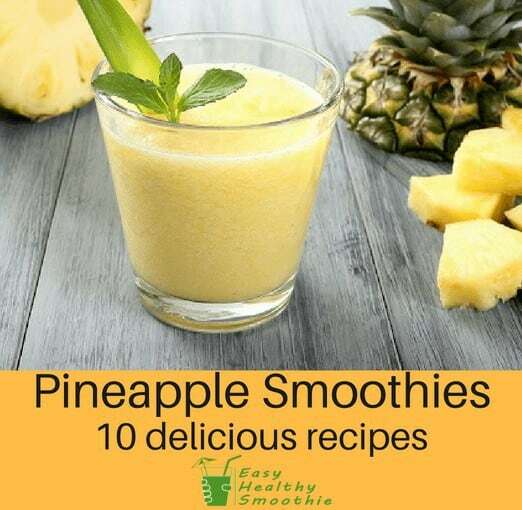 As you can see, there are lots of ways that you can enjoy pineapples in your smoothies and create some delicious, healthy recipes. Which one will you be making first? Let me know in the comments below! 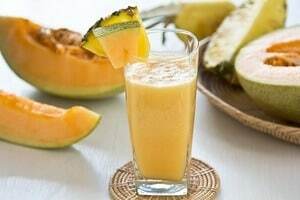 As always, feel free to share this piece with your friends and family so that they can find out more about the great ways to enjoy super healthy pineapple smoothies.